Looking for service hours? Or want to get more involved with the community? Come serve with us! Our Community Engagement Specialists plan events with the organizations below. These events occur frequently throughout the academic year, most of them recurring bi-weekly. Email the Specialist connected to each project with any questions you may have about the service opportunities. Please email the completed application plus materials to Amanda Gabbard, Coordinator for Community Engagement at gabbarda@uncw.edu or return hard copy application to the OSLE in the Fisher Student Center, Room 2029. Applications + Supplimental Documents are due by April 12th at 5pm! The Brigade Boys and Girls Club seeks to inspire and enable all young people to reach their full potential as productive, responsible, caring citizens. Volunteer opportunities with this organization include after school activities like crafts and games, and special events like the Annual Boys and Girls Club Field Day. Email Michaella Tran (mrt5730@uncw.edu) if you have any questions, and click here to learn more about the organization. The ReStore is more than just a thrift store! The ReStore allows Cape Fear Habitat to improve the standard of housing in our community. Every ReStore purchase supports the mission of Cape Fear Habitat by providing household and building supply items at below market cost while protecting the environment. Volunteer opportunities with this organization include sorting of donations, creating store displays, and clean ups. Email Caitlyn McTavish (cm7708@uncw.edu) if you have any questions, and click here to learn more about Habitat ReStore. 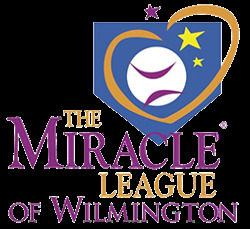 Miracle League baseball is held throughout the Fall, Spring and Summer Seasons for hundreds of children and adults with physical, developmental, and intellectual disabilities aging from 4 years old to 64 years old. Since 2013, hundreds of children and adults with disabilities have played on the 33,000 square foot rubberized BRAX Stadium PPD Miracle Field located in Olsen Park here in Wilmington. Volunteers for Miracle League serve as buddies for players, work concessions, and can even serve as the Miracle League mascot! Email Stevie Bray (slb8896@uncw.edu) if you have any questions, and click here to learn more about the organization. Spring Arbor is a Residential Assisted Living and Alzheimer's Dementia care facility for senior adults in Wilmington. OSLE works with the Spring Arbor staff to volunteer at resident activities like bingo, manicures, picnics, and outings in the community. Email Brooke Kingsland (bmk6897@uncw.edu) if you have any questions, and click here to learn more about the facility and its programs. Make sure you complete the Spring Arbor Volunteer Form and bring it with you to your volunteer date. Established in 1983 as a modest Soup Kitchen, Good Shepherd has grown to become the largest provider of homeless services in the region. Current programs include the Soup Kitchen which serves over 89,000 meals a year; Second Helpings food salvage and distribution program; Sgt. Eugene Ashley Center providing transitional and permanent supportive housing for Veterans and men with disabilities; a Day Shelter providing the homeless with access to showers, clothing, transportation, and on-site mental health and health services; and a Night Shelter with 118 beds for homeless men, women, and families with children. Email Leah Weaver (alw3510@uncw.edu) if you have any questions, and click here to learn more.